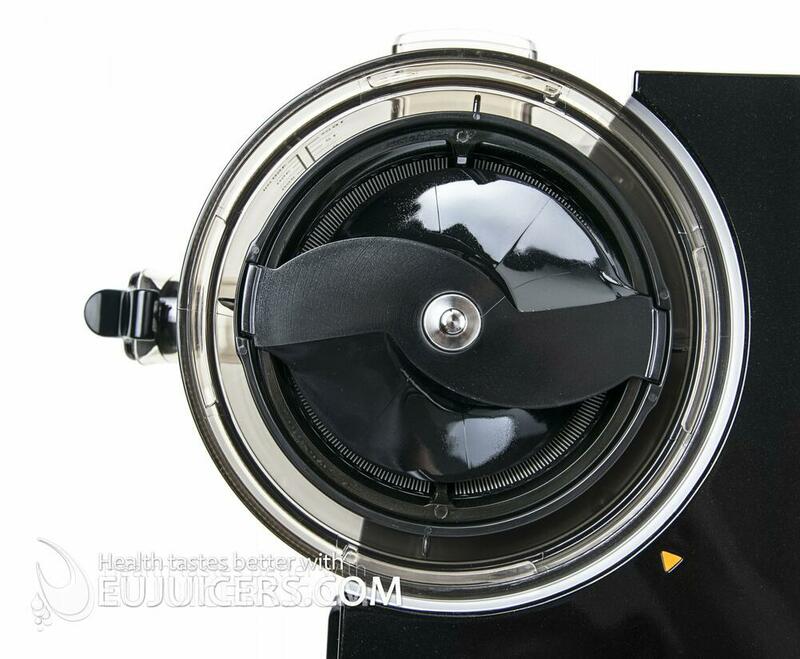 Omega VSJ843RS brings a new type of slow juicing technology to the market. It operates at almost half the speed of the original “low speed” vertical juicers. This low speed, combined with the tightly-fitting new dual-edged auger, means more juice is strained from fruits and vegetables. Fiber is broken down to an even-smaller level, creating a smoother, more nutrient-dense juice. This slow and gentle squeezing process keeps healthy enzymes intact, reduces heat build-up, delays oxidation, and increases the shelf-life of the juice. 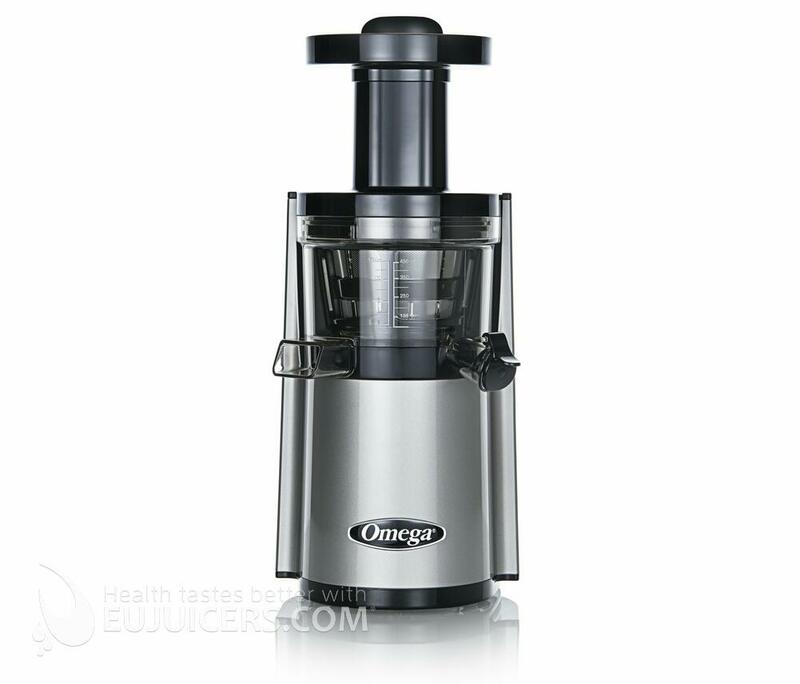 Omega VSJ843RS effectively juices fruits, vegetables, leafy greens, and even wheatgrass. It consistently produces deliciously smooth juice with almost no foam. In addition, the Omega VSJ843RS makes delicious nut milks. 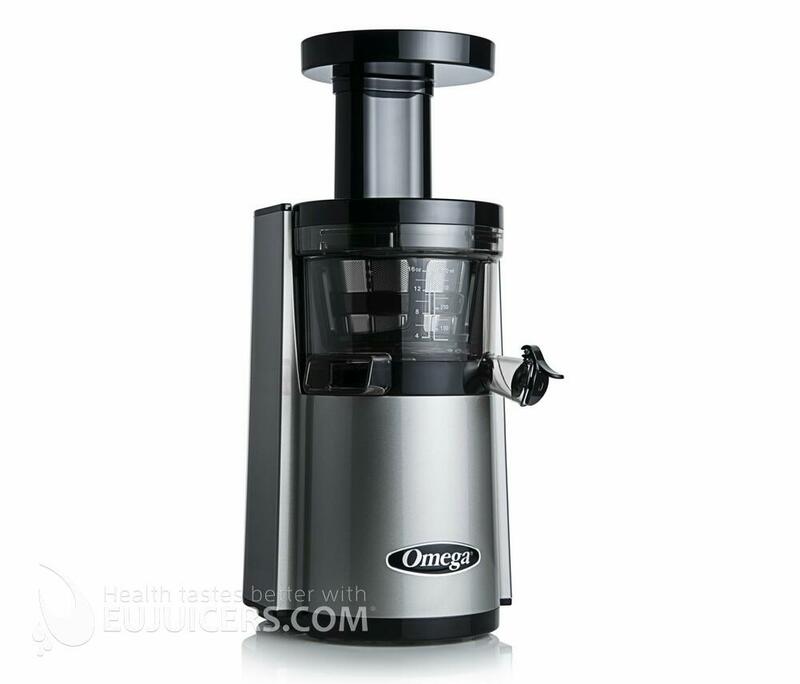 If you like smoothies, Omega VSJ843RS easily processes fresh fruit, yogurt, milk, and even avocados together. Because it has a sealable juice cap, different ingredients can be mixed together before the juice is released. The new twin winged auger is made from highly durable GE Ultem and all the parts of the Omega VSJ843RS are BPA- free. 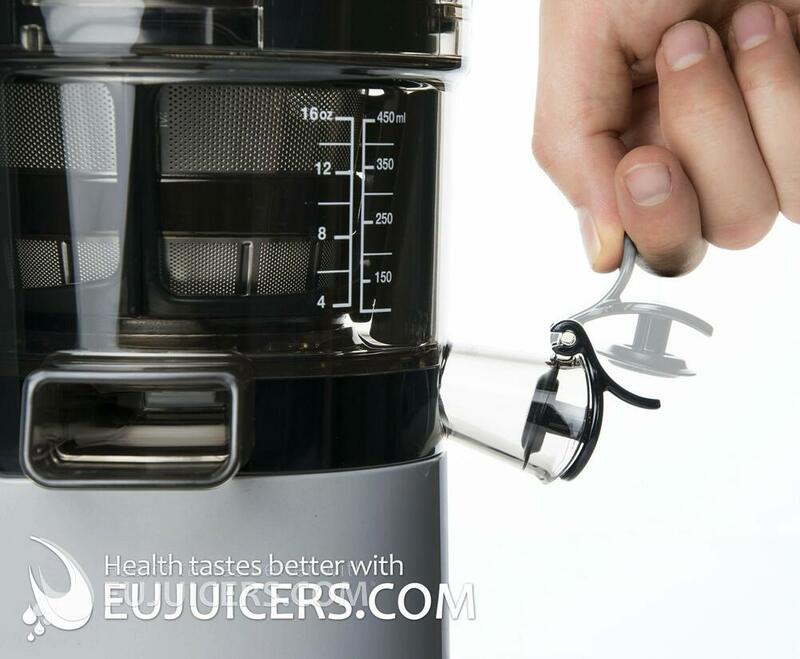 Automatic pulp ejection allows you to juice continuously. Because it runs at such a low RPM, the VSJ843RS operates very quietly. Another benefit of the juicer is the auto-cleaning system. This system constantly wipes the juicing screen, keeping it clear of fibers and allowing it to extract more juice. 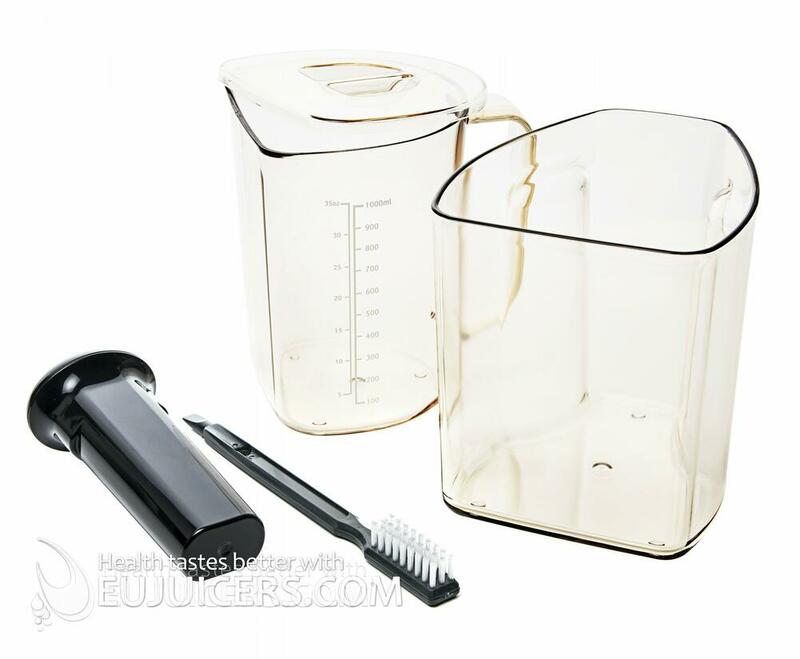 When you are finished juicing, the cleaning process is much faster and simpler. Vertical juicers typically produce rather pulpy juice, but new generation of vertical juicers without middle gear produce clear juice with a nice smooth taste. The cleanup was a pleasant surprise as well. 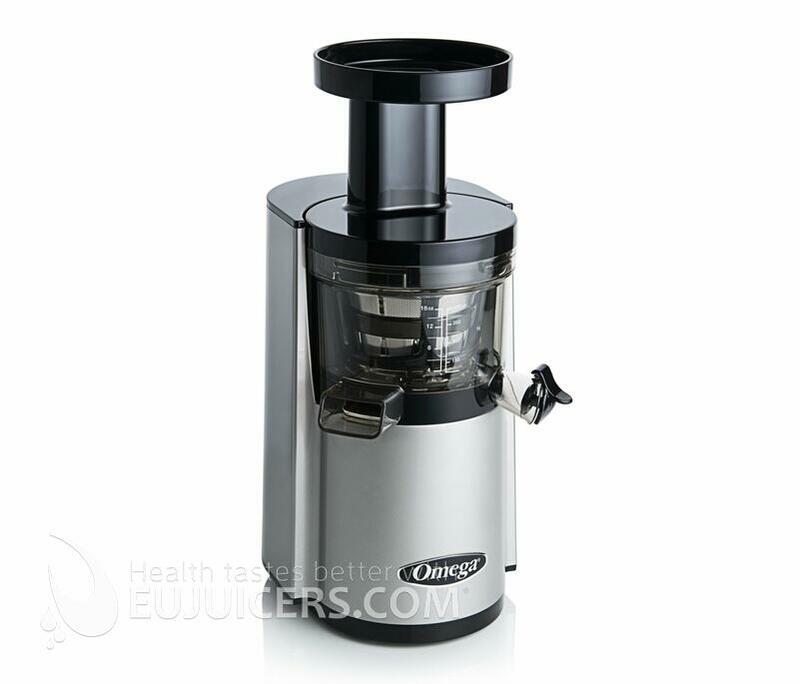 A difficult-to-clean juicer often just sits on the shelf, but the Omega´s auto-cleaning system really makes a cleaning fast and easy. 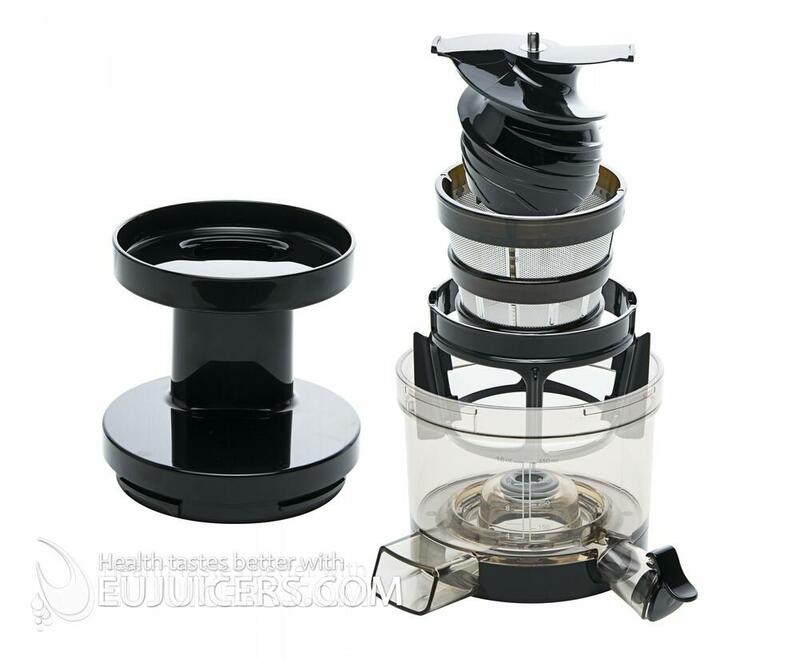 As with all vertical juicers, hard vegetables must be fed slowly to keep the motor from blocking.